If you have any information about these cases, or about any of the person(s) involved, you should call Crime Stoppers of El Paso, Inc. immediately at (915) 566-8477 (TIPS), or submit a Web Tip. You will remain anonymous, and if your information leads to an arrest you may qualify for a cash reward. EL PASO, TEXAS – A man burglaries a Central El Paso business stealing a large number of cigarettes. 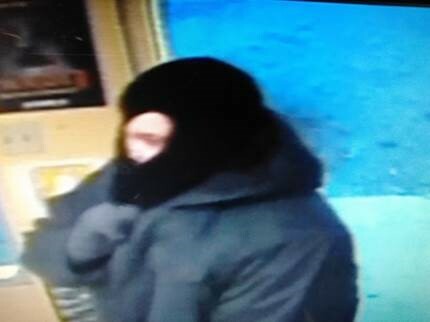 Investigators from the El Paso Police Department are asking for the public’s help in identifying this burglar, through the Crime Stoppers, “Crime of The Week.” On the night of Sunday, January 6th 2019, at 3:30a.m., a man approached the “Dollar General” store located at 3028 Pershing Dr. The suspect took a large rock and broke the bottom half of one of the front glass doors. 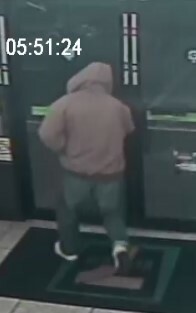 The suspect made his way inside of the business to the cabinet where the cigarettes are kept and took approximately 50 packs of cigarettes of various brands, with a total value of more than $300.00 dollars. The suspect is described as a Black male, in his middle 20’s to late 30’s, 5’7” to 5’11” in height. The suspect was wearing a black sweat shirt, blue jeans, and white athletic shoes. 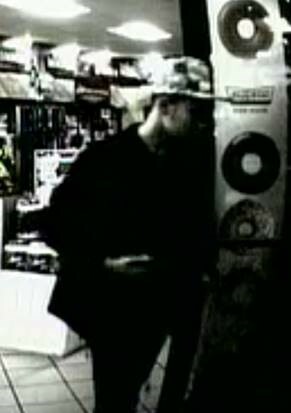 Anyone with any information on the identity of this burglar should call Crime Stoppers of El Paso immediately at 566-8477(TIPS), or on-line at www.crimestoppersofelpaso.org. You will remain anonymous and, if your tip leads to an arrest, you can qualify for a cash reward. Crime Stoppers of El Paso, Inc. is a non-profit organization that brings together the community, law enforcement, and the media to solve crime. EL PASO, TEXAS – A northeast El Paso business is held up at gunpoint and investigators from the El Paso Police Department are asking for the public’s help in finding the men involved in this armed robbery, through the Crime Stoppers, “Crime of The Week.” On the night of Sunday, December 30th just before midnight, two men walked up to the “Beers & Babes” store located at 8440 Dyer. One of the men walked in to the business, threatened the store clerk with a handgun and demanded money. The man also demanded two packs of “Newport” brand cigarettes. The man fled the scene with an undisclosed amount of cash and the two packs of cigarettes. According to witnesses the suspect fled the scene running towards Hercules. The second suspect stayed outside and acted as a look out. The first suspect is described as a Hispanic male, 18 to 25 years of age, approximately 5’7”, and was wearing a black hooded jacket with two thin white lines, a black bandana covering face, dark pants, red tennis shoes, and a red backpack. The second man is also described as Hispanic, with a height of approximately 5’7” and believed to be in his late teens or early 20’s, and had a lightly trimmed mustache with sideburns. He was wearing a hooded, two-tone colored jacket with a light color on the shoulders, dark jeans with the legs rolled up and white tennis shoes. Anyone with any information on the identity of this armed robber should call Crime Stoppers of El Paso immediately at 566-8477(TIPS), or on-line at www.crimestoppersofelpaso.org. You will remain anonymous and, if your tip leads to an arrest, you can qualify for a cash reward. Crime Stoppers of El Paso, Inc. is a non-profit organization that brings together the community, law enforcement, and the media to solve crime. SOCORRO, TEXAS – A business in Socorro, Texas is held up at gunpoint and Detectives from the Socorro Police Department are asking for your help in finding this violent robber, through the Crime Stoppers, “Crime of The Week.” On the night of Saturday December 19th just before 8p.m., a man walked into the “Abuelita’s Grocery Store” located at 11536 Socorro Rd., in Socorro Texas. The man walked in and confronted two employees working at the business. The man threatened the employees with a handgun and demanded money from the business. The suspect struck a 73-year old employee on the head with an unknown object and then pushed him to the floor. The suspect fired one shot from the handgun towards a cooler, and fled the scene with an undisclosed amount of money. The suspect is described as a Hispanic male, approximately 5’8” in height with a stocky build, and had a goatee. The man wearing a grey hooded sweater, grey sweat pants, and black “Nike” brand running shoes, with a white “swoosh” symbol. Witnesses saw the suspect heading southbound on Madrigal Road. Anyone with any information on the identity of this armed robber should call Crime Stoppers of El Paso immediately at 566-8477(TIPS), or on-line at www.crimestoppersofelpaso.org. You will remain anonymous and, if your tip leads to an arrest, you can qualify for a cash reward. Crime Stoppers of El Paso, Inc. is a non-profit organization that brings together the community, law enforcement, and the media to solve crime. Between the late night of Sunday, February 4th and the early morning of Monday, February 5th, 2018, 12-year old, Kianna Johnson, who suffered from Autism, walked out of her home. At approximately 1:30a.m., the 12-year old child was in the area of the Walmart on the 5600 block of Dyer. Investigators believe that Kianna Johnson attempted to cross Dyer from the east curb to the west curb. As she crossed a vehicle that was traveling northbound on Dyer struck her and fled the scene. Kianna Johnson died at the scene from her injuries. It is believed that a vehicle captured on surveillance video could be the vehicle involved. The vehicle appears to be a dark colored cargo van. Anyone with any information on the identity of the driver involved in the crash or the location of the vehicle is urged to immediately call Crime Stoppers of El Paso immediately at 566-8477(TIPS), or on-line at www.crimestoppersofelpaso.org. You will remain anonymous and, if your tip leads to an arrest, you can qualify for a cash reward. Crime Stoppers of El Paso, Inc. is a non-profit organization that brings together the community, law enforcement, and the media to solve crime. EL PASO, TEXAS – A man burglarizes a storage closet of a central El Paso business stealing equipment valued at more than 1,300 dollars. 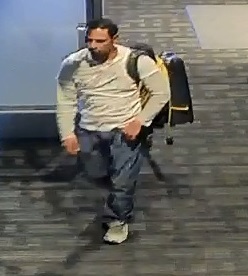 Investigators from the El Paso Police Department are asking for the public’s help in identifying this burglar through the Crime Stoppers, “Crime of the Week.” On the night of Monday, November 19th 2018, at approximately 11:30p.m., a man walked into the public restrooms at the “Dave & Buster’s” located at 6101 Gateway West, at “Bassett Place.” The man went into a storage closet and took a commercial backpack vacuum valued at more than $1,300 dollars. The man walked out of the business carrying the equipment. The man is descried as a Hispanic male, in his 30’s, approximately 5’7” in height, medium build, medium complexion, and dark hair. The day of the burglary he was wearing a white long sleeved tee-shirt, blue denim jeans, and white athletic shoes. Anyone with any information on the identity of this burglar should call Crime Stoppers of El Paso immediately at 566-8477(TIPS), or on-line at www.crimestoppersofelpaso.org. You will remain anonymous and, if your tip leads to an arrest, you can qualify for a cash reward. Crime Stoppers of El Paso, Inc. is a non-profit organization that brings together the community, law enforcement, and the media to solve crime. EL PASO, TEXAS – The murder of a man on Christmas Eve has remained unsolved for fifteen years. Detectives from the El Paso Police Department are asking for the public’s assistance in bringing those responsible for this violent death to justice, through the Crime Stoppers, “Crime of The Week.” On the early afternoon of Wednesday December 24th 2003, at about two in the afternoon, 44-year old Fernando Martinez was found dead inside of his business in northeast El Paso. Martinez, was the owner and operator of Saygo Bakery Equipment Service that was located at 4496 Titanic. Homicide investigators found that Martinez was visited by a person or persons at the business around 12-noon. One of those visitors at the business is the person that fatally shot Martinez in the upper torso. Martinez, who was originally from Artesia, New Mexico, left behind a child that was only 4-year of age, when the murder happened. Investigators know that someone has information on the killer and the motive of this Christmas Eve murder. Anyone with any information on this murder is urged to call Crime Stoppers of El Paso immediately at 566-8477(TIPS), or on-line at www.crimestoppersofelpaso.org. You will remain anonymous and, if your tip leads to an arrest, you can qualify for a cash reward. Crime Stoppers of El Paso, Inc. is a non-profit organization that brings together the community, law enforcement, and the media to solve crime. EL PASO, TEXAS – A west El Paso business is held up at gun point and cameras recorded the suspect. Detectives from the El Paso Police Department are asking for the public’s help in identifying this armed robber through the Crime Stoppers, “Crime of the Week.” On the night of Monday, November 12th 2018, at 11:03p.m., a man walked in to “Relaxation Massage” located at 5864 N. Mesa. The suspect walked in to the business pointing a handgun at the employee and demanding money from the business. The suspect fled the scene with a small undisclosed amount of cash. The suspect is described as a male, approximately 6’ feet in height, with a medium build. The man was wearing a hooded sweatshirt, a mask over his face, and camouflage colored pants. No injuries were reported in this armed robbery. The suspect was seen by witnesses walking toward Crestmont. 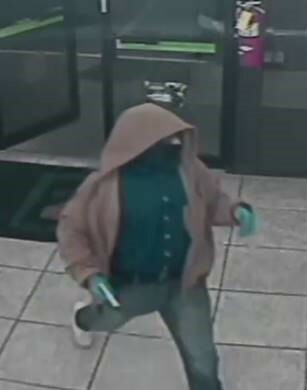 Anyone with any information on the identity of this armed robber should call Crime Stoppers of El Paso immediately at 566-8477(TIPS), or on-line at www.crimestoppersofelpaso.org. You will remain anonymous and, if your tip leads to an arrest, you can qualify for a cash reward. Crime Stoppers of El Paso, Inc. is a non-profit organization that brings together the community, law enforcement, and the media to solve crime. EL PASO, TEXAS – A truck is taken from a driveway of home in Northeast El Paso, and found blocks later engulfed in flames. 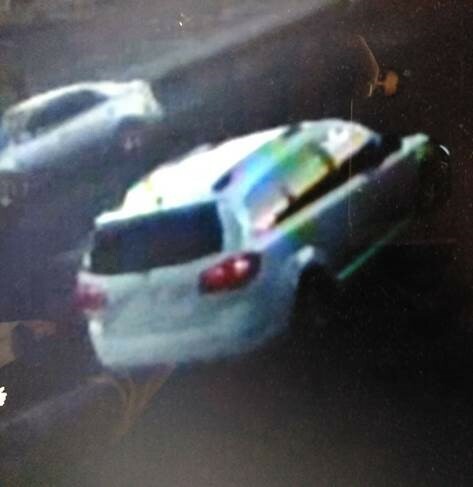 A camera recorded the vehicle being pulled by a S.U.V., and Investigators from the El Paso Police Department and El Paso Fire Marshalls Office are asking for the public’s help in identifying those responsible for this theft and arson through the Crime Stoppers, “Crime of the Week.” On the early morning of Sunday, September 23rd 2018, at 3:55a.m., Police and Fire personnel responded to the 5800 block of Lexington and Railroad on a possible accident where a truck was on fire. After arrival, investigators found that no accident was involved and that the vehicle had been stolen from the driveway of a home at the 9300 block of Roanoke. Through the investigation security video was found that revealed the black, 1993 Chevrolet Silverado pickup truck was being pulled by a S.U.V. and taken to the location where the truck was set on fire. Anyone with any information on this theft and arson should call Crime Stoppers of El Paso immediately at 566-8477(TIPS), or on-line at www.crimestoppersofelpaso.org. You will remain anonymous and, if your tip leads to an arrest, you can qualify for a cash reward. Crime Stoppers of El Paso, Inc. is a non-profit organization that brings together the community, law enforcement, and the media to solve crime. EL PASO, TEXAS – A man holds up a central El Paso pawn shop at gun point. The suspect was recorded by security cameras and Investigators from the El Paso Police Department are asking for the public’s help in identifying this violent robber through the Crime Stoppers, “Crime of the Week.” On the late morning of Sunday, October 21st 2018, at 11:50a.m., a man walked into the “E-Z Pawn” located at 6100 Alameda. The man at first asked about pawning a pair of sunglasses, then began asking about jewelry that was for sale. At one point the suspect pulled out a handgun and threatened the employees of the business and demanded money and jewelry. The suspect fled the scene with an undisclosed amount of cash and five gold necklaces. Witnesses reported seeing the suspect running south on Clark. The man is described as Hispanic, 5’8” in height, 190lbs., medium build, used a mustache and goatee, short hair, and a tattoo on the back of his neck. 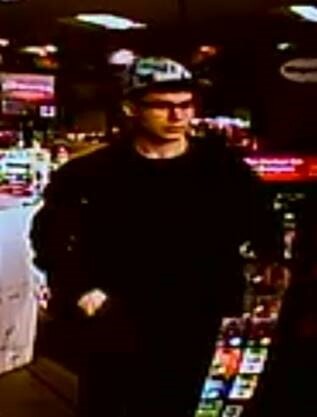 The suspect was wearing a black baseball cap with a “Jordon” logo on the front, was wearing glasses, a dark grey colored hooded jacket, a black baggy tee-shirt with a square print on the front, black baggy pants, and dark colored shoes. 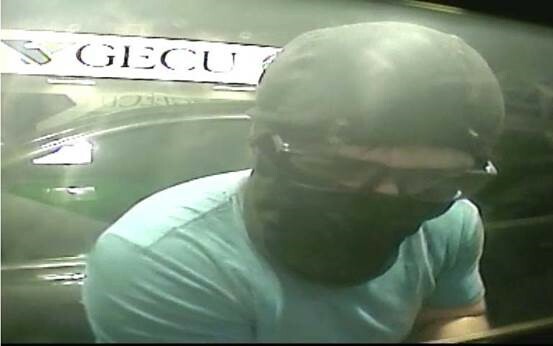 Anyone with any information on the identity of this armed robber should call Crime Stoppers of El Paso immediately at 566-8477(TIPS), or on-line at www.crimestoppersofelpaso.org. You will remain anonymous and, if your tip leads to an arrest, you can qualify for a cash reward. Crime Stoppers of El Paso, Inc. is a non-profit organization that brings together the community, law enforcement, and the media to solve crime. EL PASO, TEXAS – A man is killed after being struck by two vehicles on I-10. One vehicle fled the scene and Investigators from the El Paso Police Department are asking for the public’s help in locating the hit and run driver involved in this crash through the Crime Stoppers, “Crime of the Week.” In the early morning hours of Saturday, November 10th 2018, at 1:08p.m., a man was attempting to cross the Interstate 10 Westbound near Geronimo. The man, 40-year old, Latorey Blizzard was crossing from north to south and managed to cross several lanes before being struck by two vehicles. One of the vehicles stopped and remained at the scene, while the other fled. Blizzard died as a result of his injuries at the scene. Based on witness information and evidence collected by investigators, the vehicle involved is a silver colored, Honda Accord, model year 1998 to 2002. The car should have extensive front end damage. Anyone with any information on the driver and vehicle involved in the death of Latorey Blizzard is asked to immediately call Crime Stoppers of El Paso at 566-8477(TIPS), or on-line at www.crimestoppersofelpaso.org. You will remain anonymous and, if your tip leads to an arrest, you can qualify for a cash reward. Crime Stoppers of El Paso, Inc. is a non-profit organization that brings together the community, law enforcement, and the media to solve crime. EL PASO, TEXAS – A man is killed after being struck by three vehicles in Central El Paso. The last vehicle remained at the scene, however the first two fled. Investigators from the El Paso Police Department are asking for the public’s help in locating the drivers involved in this death through the Crime Stoppers, “Crime of the Week.” On the night of Sunday, November 4th, at approximately 8:30p.m., 62-year old, Jose Reza was attempting to cross Cotton St. between Olive and Magoffin. Reza was not crossing at an intersection or designated crossing area, and was struck by a blue Ford Focus that fled the scene. Moments later a red sedan also struck the victim and did not remain at the scene. A third vehicle struck Reza, but that vehicle did remain at the scene and called for assistance. Based on witness statements and evidence collected by investigators, the initial vehicle that struck Reza is blue Ford Focus, model year 2012 to 2014. The vehicle will have damage to the left side and missing a tire well. Anyone with any information on the vehicles and drivers involved in the death of Jose Reza is asked to immediately call Crime Stoppers of El Paso at 566-8477(TIPS), or on-line at www.crimestoppersofelpaso.org. You will remain anonymous and, if your tip leads to an arrest, you can qualify for a cash reward. Crime Stoppers of El Paso, Inc. is a non-profit organization that brings together the community, law enforcement, and the media to solve crime. Man Sought For Placing Credit Card Skimmer ON A.T.M. EL PASO, TEXAS – A man is suspected of placing a credit card skimmer at an east El Paso A.T.M. The suspect was recorded by security cameras and Detectives from the El Paso Police Department are asking for the public’s help in identifying this possible credit card thief through the Crime Stoppers, “Crime of the Week.” On the morning of Saturday, July 28th, at 7a.m., an unidentified man walked into the “Circle K” store located at 7800 Gateway East and went to the A.T.M. inside. The suspect is believed to have placed a skimmer device on the machine and walked out if the business. A short time later, while a customer attempted to use the machine, the skimmer detached from the A.T.M. The customer reported the incident to the store employees. 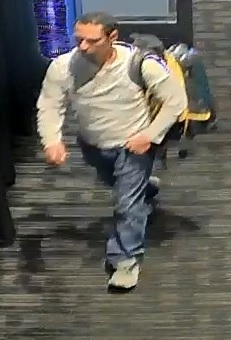 Detectives located video that is believed to depict the suspect involved. The suspect is described as a white or Hispanic male in his 20’s, with an average build. 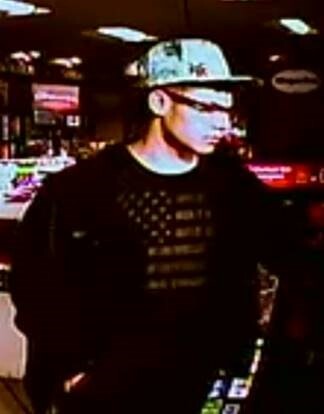 The suspect was wearing a camouflage colored baseball hat, a pair of black frame eye glasses, a dark jacket, dark tee-shirt with an American flag, and dark pants. Anyone with any information on the identity of this man is asked to immediately call Crime Stoppers of El Paso at 566-8477(TIPS), or on-line at www.crimestoppersofelpaso.org. You will remain anonymous and, if your tip leads to an arrest, you can qualify for a cash reward. Crime Stoppers of El Paso, Inc. is a non-profit organization that brings together the community, law enforcement, and the media to solve crime. EL PASO, TEXAS – At least two men are involved in a spree of armed robberies from Central El Paso to El Paso’s Mission Valley. Security cameras recorded one of the suspects and Investigators from El Paso Police Department ask for the public’s help in identifying these violent robbers through the Crime Stoppers, “Crime of the Week.” The robbery spree began on the afternoon of Monday, October 22nd 2018, at 6:20p.m., at the “Montana Smoke Shop,” located at 4323 Montana. The suspect walked into the business wearing ski mask, and a thick jacket. The suspect unzipped the jacked and pulled out a rifle. The suspect demanded money from the business. The suspect was unable to take any cash, but fled the scene with a pack of “Newport Cigarettes.” Almost one hour later the suspect walked into the “Barrel House Liquors” located at 7350 Gateway East. In similar fashion the suspect walked in, pulled out a rifle and demanded money from the business. The suspect fled the scene with a small undisclosed amount of cash. About half an hour later, the suspect walked into the “Sopresa Bakery” at 805 N. Carolina and again threatened the employees and demanded money. The employees ran from the business and the suspect was unable to take any cash. The last hold up was just minutes later at the “El Chavo Elotes” at 1025 N. Carolina. 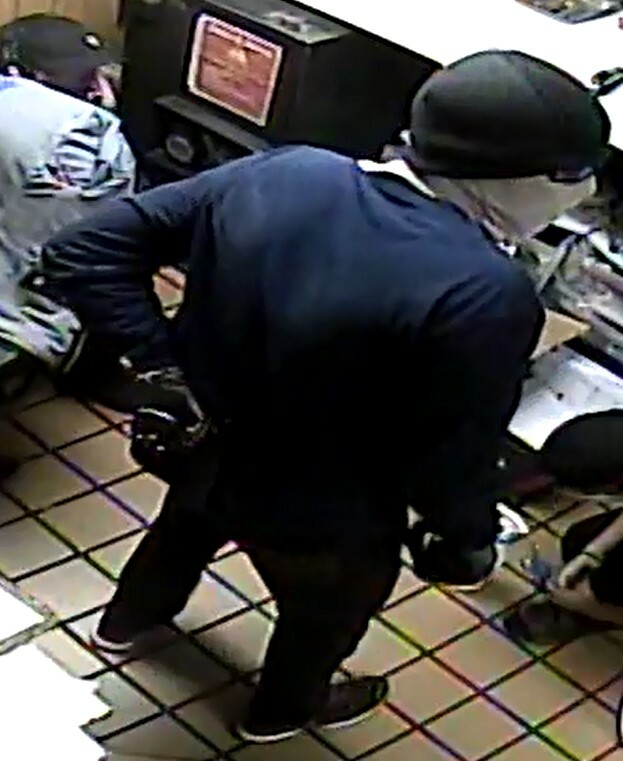 The suspects drove to the drive through of the business and both the driver and passenger were wearing ski masks. The passenger threatened the employee with a rifle and demanded money from the business. The suspect fled the scene with a small undisclosed amount of cash. The first suspect is described as a heavy set male, approximately 6’0” in height, with a deep voice. The day of the robbery he was wearing a black ski mask, a gray jacket, and gloves. The suspects fled the scene in a light colored Dodge Journey. Anyone with any information on the identity of these violent robbers is asked to immediately call Crime Stoppers of El Paso at 566-8477(TIPS), or on-line at www.crimestoppersofelpaso.org. You will remain anonymous and, if your tip leads to an arrest, you can qualify for a cash reward. Crime Stoppers of El Paso, Inc. is a non-profit organization that brings together the community, law enforcement, and the media to solve crime. EL PASO, TEXAS – A man holds up Northeast El Paso convenience store at gun point and fires the weapon inside the store. Investigators from El Paso Police Department are asking for the public’s help in identifying this violent robber through the Crime Stoppers, “Crime of the Week.” On the morning of Saturday, October 13th 2018, at 5:50a.m., the suspect walked into the “Seven-Eleven” store located at 10418 Rushing. 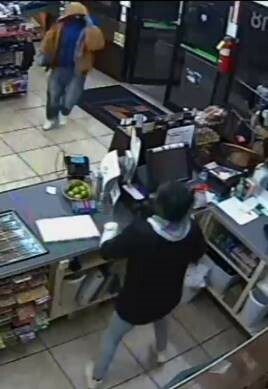 The unidentified man walked in pointing a handgun at the clerk. The suspect immediately threatened to shoot clerk and demanding money from the business. The suspect fired the gun inside of the store striking the soda fountain area. The man fled the scene with a small undisclosed amount of money. The suspect in this case is described as male, approximately 5’6” in height, and a medium to husky build. He was wearing a partial mask that covered his face, a brown coat, a blue button up shirt, blue denim jeans, and white athletic shoes. The handgun that the suspect was armed with is described a silver colored semiautomatic pistol. No injuries we reported in this violent robbery. Anyone with any information on the identity of this violent robber is asked to immediately call Crime Stoppers of El Paso at 566-8477(TIPS), or on-line at www.crimestoppersofelpaso.org. You will remain anonymous and, if your tip leads to an arrest, you can qualify for a cash reward. Crime Stoppers of El Paso, Inc. is a non-profit organization that brings together the community, law enforcement, and the media to solve crime. EL PASO, TEXAS – A man has been burglarizing business vehicles in Northeast El Paso. The suspect was recorded on video, and Investigators from El Paso Police Department are asking for the public’s help in identifying this car burglar, through the Crime Stoppers, “Crime of the Week.” The first case took place on Tuesday, October 2nd 2018, at 9537 Dyer at the “Hassle Free Locksmith.” The suspect is seen on video at 5:53a.m., going up to the business vehicle, and opening the hood. The suspect then stole the battery of the van, went back, cut a hole on the gas tank, and drained the gasoline of the vehicle onto a bucket. The next case was on Saturday, October 13th at 5320 Fairbanks at the “Fairbanks Day Care.” In this case at 3:50a.m., the suspect arrived to the business, made his way into the fenced area where the business vans are parked. The suspect managed to steal the battery out of four of the vans. The suspect is described as a White or Hispanic male, thin build, with tattoos on both arms and appears to have a receding hairline. 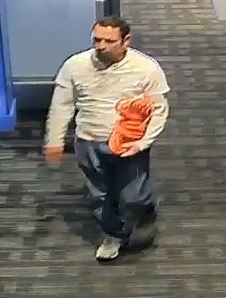 The suspect uses glasses and was wearing a gray shirt and denim jeans and dark shoes. The suspect was seen getting into a light colored Honda Civic and fled the scene. 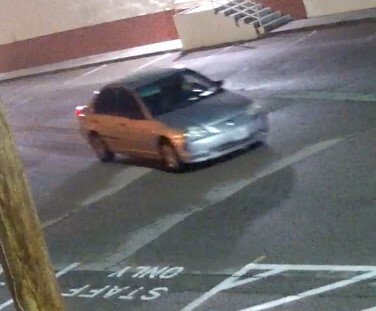 Anyone with any information on the identity of this vehicle burglar is asked to immediately call Crime Stoppers of El Paso at 566-8477(TIPS), or on-line at www.crimestoppersofelpaso.org. You will remain anonymous and, if your tip leads to an arrest, you can qualify for a cash reward. Crime Stoppers of El Paso, Inc. is a non-profit organization that brings together the community, law enforcement, and the media to solve crime. EL PASO, TEXAS – A man holds up a Mission Valley Restaurant at gunpoint. Security cameras recorded robbery, and Detectives from El Paso Police Department are asking for the public’s help in identifying this violent robber through the Crime Stoppers, “Crime of the Week.” During the early morning of Monday, August 27th, 2018, at 12:40a.m., an employee of the “McDonalds” restaurant located at 7392 Alameda, took trash outside through the backdoor. As the employee was outside, a man grabbed him from the neck and threatened him with a handgun. The man ordered the employee inside and to the floor. The suspect then took another employee and forced him to the business office. At that time, the manager noticed the suspect and the man threatened the manager and demanded money from the business. The suspect fled the scene with an undisclosed amount of cash. The suspect is described, as a Hispanic male, in his mid-20’s, approximately 6’ in height, and a slim build. 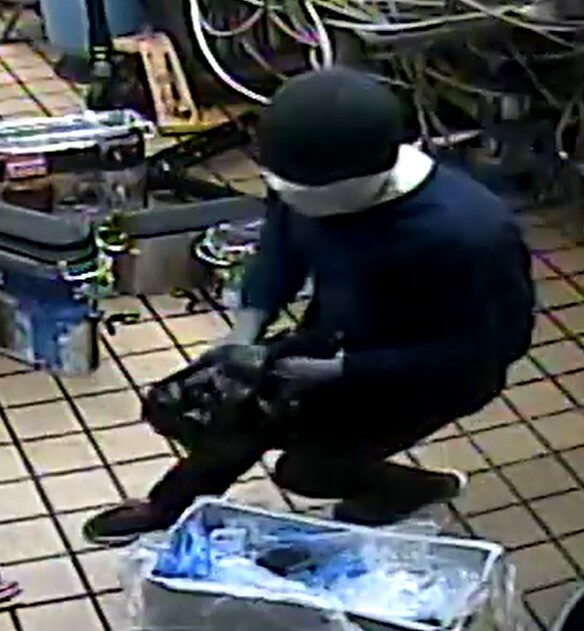 He was wearing black beanie hat, a white tee shirt over his face, black sunglasses, a black long sleeve shirt, black gloves, black pants and black shoes. 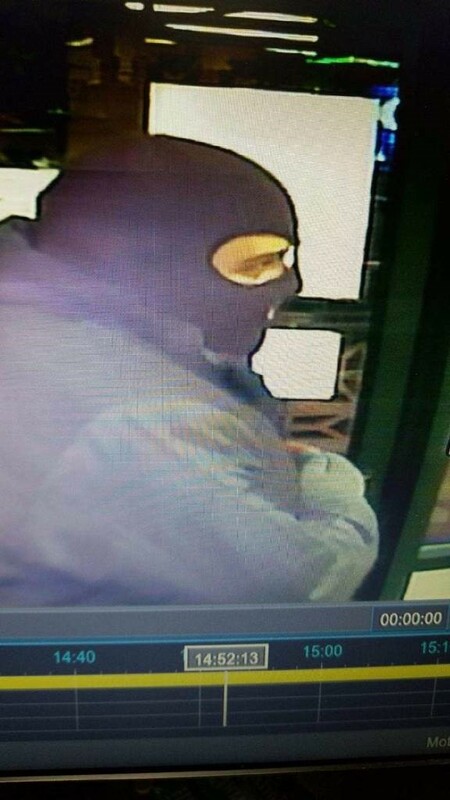 Anyone with any information on the identity of this armed robber is asked to immediately call Crime Stoppers of El Paso at 566-8477(TIPS), or on-line at www.crimestoppersofelpaso.org. You will remain anonymous and, if your tip leads to an arrest, you can qualify for a cash reward. Crime Stoppers of El Paso, Inc. is a non-profit organization that brings together the community, law enforcement, and the media to solve crime. Man Attempts To Break In To A.T.M. EL PASO, TEXAS – A man is captured on video attempting to burglarize an ATM at a West El Paso financial institution. Investigators from the El Paso Police Department are asking for the public’s help in identifying this burglar, through the Crime Stoppers, “Crime of the Week.” During the early morning hours of Wednesday, September 19th 2018, at 1:45a.m., a man drove up to the A.T.M.s of the G.E.C.U. credit union located at 1510 N. Resler. The man exited his S.U.V and began to pry open one of the A.T.M.s with a tire iron, but was unsuccessful. The suspect left and returned a short time later to try and open the machine again, but was still unsuccessful. The attempts to pry open the machine caused approximately $1,000 dollars in damages. The suspect is described as a white or Hispanic male, dark hair, and with a medium build. He was wearing a black hood over his head, a blue tee-shirt, black shorts, and gray or tan sandals. The unidentified man was driving a dark colored, newer model, Jeep Grand Cherokee, 4x4 edition. Anyone with any information on the identity of this burglar is asked to immediately call Crime Stoppers of El Paso at 566-8477(TIPS), or on-line at www.crimestoppersofelpaso.org. You will remain anonymous and, if your tip leads to an arrest, you can qualify for a cash reward. Crime Stoppers of El Paso, Inc. is a non-profit organization that brings together the community, law enforcement, and the media to solve crime. EL PASO, TEXAS – Three men are captured on video burglarizing several vehicles in a Northeast El Paso neighborhood. 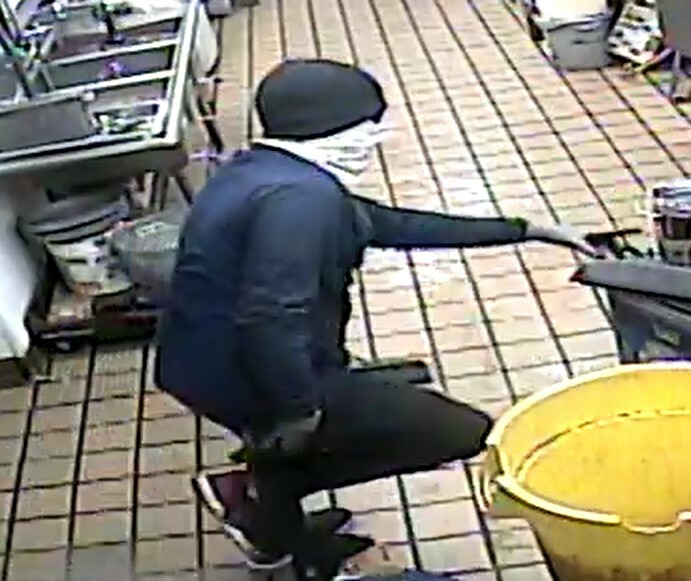 One of the men has been identified, but Investigators are asking for the public’s help in identifying all the individuals involved in this burglary spree, through the Crime Stoppers, “Crime of the Week.” During the early morning hours of Friday, September 7th 2018, between 2a.m. and 5a.m., three men are captured on video attempting to open cars in the Mesquite Hills area. The men were responsible for burglarizing at least nine vehicles in the area of Mesquite Hills at the 6900 block of Jericho Tree and the 7200 block of Sachet Cliff. 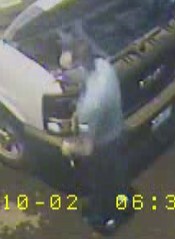 One suspect is described as a White male, thin build, with reddish-blonde short hair and was wearing a red shirt, light colored shorts, and grey shoes with a with a Black stripe. The other suspect that has not been yet identified is a Hispanic male, thin build, dark short hair, and was wearing a grey shirt, dark colored basketball shorts, dark socks and white Adidas athletic shoes. The last subject is identified as 17-year old, Isaiah Samuel Sambrano. Anyone with any information on the identity of these burglars or the whereabouts of Isaiah Samuel Sambrano is asked to immediately call Crime Stoppers of El Paso at 566-8477(TIPS), or on-line at www.crimestoppersofelpaso.org. You will remain anonymous and, if your tip leads to an arrest, you can qualify for a cash reward. Crime Stoppers of El Paso, Inc. is a non-profit organization that brings together the community, law enforcement, and the media to solve crime. EL PASO, TEXAS – A woman manages to make her way to a restricted area of an eastside restaurant and takes money envelopes from the office. The suspect was recorded on surveillance video and investigators from the El Paso Police Department are asking for the public’s help in identifying this burglar, through the Crime Stoppers, “Crime of the Week.” On the evening of Tuesday, August 28th, 2018, at 7:25p.m., a woman walked into the “Moe’s and Schlotzsky’s Deli” restaurant located at 3261 Joe Battle. The woman after going into one of the restrooms goes to a restricted door that requires a code access to open. The woman attempts a code that was written on the palm of her hand and is unsuccessful. The woman goes back to the restroom, comes out, and goes to the door again, however this time, entering the correct code. The woman made her way to the business office where she grabbed envelopes containing an undisclosed, small amount of cash. The woman exited the business and fled the scene. The suspect is described as a Hispanic female, 5’4” in height, heavy build, and appears to have a tattoo on her upper back and neck. She was wearing a black baseball cap with a yellow brim and a hologram sticker with the logo of “ZOO York,” a dark blue NFL "Chargers" jersey, with the number #91 with the name of “Merrman” in the shoulder area. She also had on black pants, blue Converse Chuck Taylors gym shoes. Anyone with any information on the identity of this burglar is asked to immediately call Crime Stoppers of El Paso at 566-8477(TIPS), or on-line at www.crimestoppersofelpaso.org. You will remain anonymous and, if your tip leads to an arrest, you can qualify for a cash reward. Crime Stoppers of El Paso, Inc. is a non-profit organization that brings together the community, law enforcement, and the media to solve crime. EL PASO, TEXAS – A man robs an east El Paso business and is recorded by surveillance cameras. Investigators from the El Paso Police Department are asking for the public’s help in identifying this robber, through the Crime Stoppers, “Crime of the Week.” On the afternoon of Sunday, May 27th, 2018, at 12:20p.m., a man walked into the “Family Dollar” store located at 2281 N. Zaragoza. The man picked up phone chargers and hid them in his pockets. The store employee noticed that the man was concealing the items, and confronted the man about the chargers. The man responded by making a threat to the employee that he had two guns with him and would hurt her. The suspect fled from the store with the stolen items. The man was seen leaving the area in a newer model, white, 4-door sedan, similar to a Ford Fusion. The suspect is described as a Hispanic male, 5’6” in height, thin build, bald, and was wearing a grey/blue tee-shirt, and gray shorts, and white shoes. Anyone with any information on the identity of this robber is asked to immediately call Crime Stoppers of El Paso at 566-8477(TIPS), or on-line at www.crimestoppersofelpaso.org. You will remain anonymous and, if your tip leads to an arrest, you can qualify for a cash reward. Crime Stoppers of El Paso, Inc. is a non-profit organization that brings together the community, law enforcement, and the media to solve crime.